Flashback, 1987: I’m a freshman in high school, just finding my way into the dark underbelly of underground music thanks to the burgeoning alternative college radio scene in and around the Boston area and a younger brother whose musical tastes blossomed early. I hadn’t really noticed UK band The Smiths during middle school, but when Girlfriend in a Coma hit the airwaves, it touched me deeply, and I purchased the album from which it came, hardly aware that it would be their last, that the band was already disintegrating from the stress between an exhausted and increasingly alcoholic Marr and a series of agressive acts from the dismissive, inflexible Morrissey. And then, as I noted in a single-song set and analysis posted elseblog way back in 2007, I played the song incessantly for weeks on end, finding it a perfect outlet for my own adolescent relationship angst. Though they only released 4 full-length studio albums in a startlingly short six year career, British alt-rockers The Smiths are rightly recognized today as seminal, groundbreaking players in the evolution of both the independent music scene and modern music writ large, thanks to the sensitive post-punk sensibility of songwriting team Morrissey and Johnny Marr, and an unprecedented number of non-album singles, b-sides, and compilations. Their ability to channel the tensions of the age, and the trapped feelings of loneliness in a culture on the brink, spoke clearly and deeply to a generation; long after their break-up, their songs continued to do so on radio, and on my turntable. 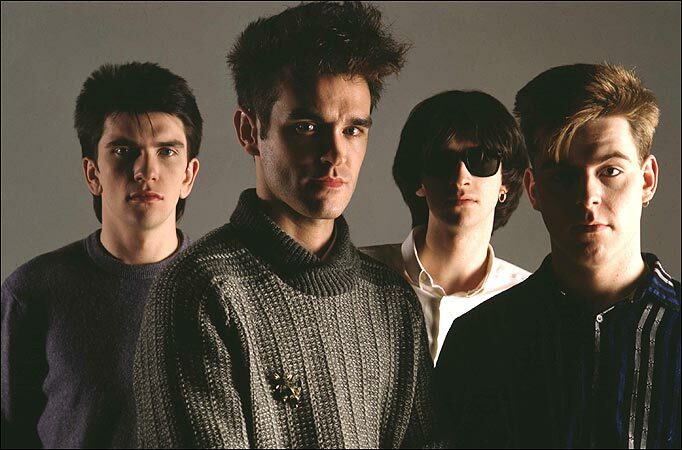 Over the last decade or so, in recognition of their influence and their brooding way with the emotional core of the darkest side of the soul, the works of The Smiths, and of Morrissey’s solo career, have found their way into the hands of a number of luminaries, from Joshua Radin and Billy Bragg to Colin Meloy of the Decemberists. And now, with the 25th anniversaries of their most influential albums Strangeaways, Here We Come (1986) and The Queen is Dead (1987) looming large, their influence has been recognized with not one, but two separate tribute albums. The first of these, The Queen is 25, a free-to-download mixed Greek artist tribute from fellow coverblog The Cover Lovers, is a mixed bag: mostly electro/indie stuff, and not really my style. But the second, Please, Please, Please: A Tribute to The Smiths, is a two-CD set from American Laundromat Records, who have a strong reputation for great indiefolk coverage – and having just received my pre-release in the mail this morning, I’m thrilled to announce that it’s stunningly successful, a genuine miracle. 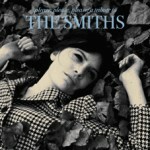 As a handful of previously-released Smiths-as-folk covers has already aptly demonstrated, transforming those mournful, angst-ridden vocals and the urgency of those synthbeats and bass into folkier, sparser, and/or acoustic numbers is less difficult than their placement in the canon would imply. 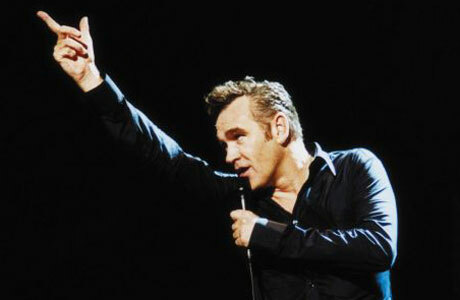 At heart, Morrissey was a crooner and cultural critic, a predecessor of the dark emo camps, whose personal struggles with the world found life in deeply personal narrative performance. As such, though it focuses its attention on alienation, the Smiths songbook is chock full of open imagery, and couched in eminently singable melodies that are eminently open to flexible interpretation. And here, on the newest collection, we find magic indeed: tiny, sweet, hushed takes on Please, Please, Please Let Me Get What I Want and Last Night I Dreamt That Somebody Loved Me from William Fitzsimmons and Canadian girl duo Dala, respectively; a soaringly slow alt-country ballad interpretation of There Is Light That Never Goes Out from Trespassers William; beautifully hollow, haunting piano balladry from Greg Laswell, Joy Zipper, and Sixpence None The Richer; gypsy folkpop coverage from the aptly-named Girl in a Coma; light grunge from Tanya Donelly and Dylan at the Movies, and much, much more. As with previous covers collections and tributes to the Neil Young, The Cure, lullabies, and more, American Laundromat has solicited a powerhouse set of artists from the indie and indiefolk worlds and given them license to find their own hearts in the music of their influences – and the resulting record is a tight diamond of consistency that elevates both performers and songwriters, a gem absolutely worth your time and patronage, whether you, too, were an early fan, a latecomer like me, or simply a culturally-aware radio listener who recognizes the majority of the songs from the low end of the dial. So here’s an exclusive track from Sara Lov off the newest tribute to cross the desk – a wonderfully melodic, contemporary folk production posted with permission from the kind folks at American Laundromat – and a full set of Smiths covers from the last decade or so to match it. Like Please, Please, Please: A Tribute to The Smiths, our own collection ranges from angered to tender, revealing the broad range of the original songs, and of the universal emotion they express so adeptly. But taken as a set, they speak to the recesses of the soul in ways which remind us that, while bands come and go, we are privileged to live in an age where we can own the recording and reintepretation of song, the better to channel our emotion, and share the human condition – a folk conceit, to be sure, and one which keeps us coming back week after week. The Queen may be dead, but with tributes like these, the legacy of the Smiths is stronger than ever. I’m guest hosting over at Fong Songs again today, throwing down a feature on Pop Punk covers of folk songs while Fong heads off to Las Vegas for some culture. (I’d say more, but you know what they say about what happens in Vegas.) If your ears can take the hard stuff, join me at Fong Songs for the sweet non-folk sounds of The Lemonheads, Sonic Youth, P.J. Harvey, Dinosaur Jr., and a bunch of other 80s alt-punk rockers. Before you go, here’s some earcandy, a half-pint (Re)Covered set of folk covers of songs by seminal 80s alt-pop band The Smiths and their lead singer Morrissey, collected on the blogosphere and unearthed while digging through the tracks for last week’s post on Billy Bragg. Regular readers will remember that my first guest post over at Fong Songs was a feature on Smiths coversongs, too. And so the world comes full-circle. From Sandie Shaw‘s solo acoustic punk folk to Scott Matthews‘s rich-toned atmospheric indiefolk, the below tracks are worth a second listen. Also included: Decemberist Colin Meloy‘s solo-with-harmonies cover of two Morrissey tunes, and Joshua Radin‘s amazing Girlfriend in a Coma, which hit the Fong Songs post late in the game. Enjoy the music, both here and elseblog. And remember to click on artist names to learn more and purchase music if you like what you hear.